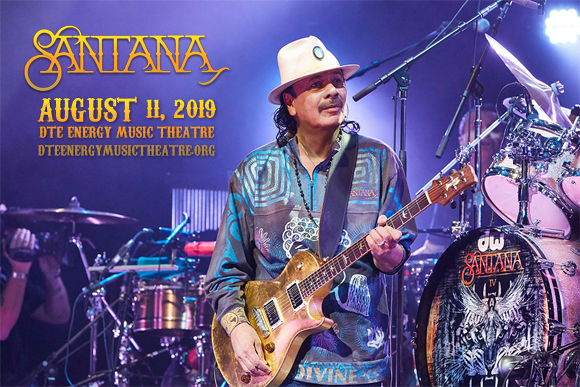 Santana comes to DTE Energy Music Theatre on Sunday 11th August 2019 on the Supernatural Now Tour! The band celebrates two anniversaries this year (50 years since their appearance at Woodstock and 20 years since the release of Supernatural), and also the release of a brand new album this summer! They mark the occasion with this spectacular show that features The Doobie Brothers in support! One of the world's best-selling groups of all time, Santana was formed by Mexican-American guitarist Carlos Santana in 1967, in San Francisco, California, and has sold over 100 million albums to date. The group found fame when they performed a memorable set at Woodstock in 1969, and swiftly followed with their double-platinum-selling self-titled debut album. In over 50 years, the band has released 24 studio albums – 17 of which have been certified gold, platinum or multi-platinum. The group released Supernatural, their most successful album and a comeback after a seven-year recording hiatus, in 1999 and the record peaked at number one in several countries, earned 15-times platinum certification and sold nearly 27 million copies worldwide. Throughout its career, the group has had four number-one albums on the Billboard charts (Abraxas, Santana III, Supernatural, Shaman), along with two number one singles ("Smooth", "Maria Maria"), and has won ten Grammy Awards and three Latin Grammy Awards. The band was inducted into the Rock and Roll Hall of Fame in 1998.